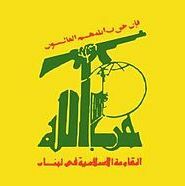 Hezbollah's leader threatened on February 14 to strike Israel anywhere in the world in retaliation for what he said was its role in assassinating Imad Mughniyah, a Hezbollah commander blamed by the United States and Israel for killing hundreds in bombings, kidnappings and hijackings over a quarter-century. In a video speech broadcast to thousands of mourners in a spare but sprawling tent in southern Beirut, Hasan Nasrallah said that because Israel had struck beyond what he called the "traditional battlefield" of Lebanon and Israel, it risked a borderless war with the Shiite Muslim group. Israel has denied involvement in the car bombing Tuesday that killed the 45-year-old Mughniyah in a tony neighborhood of Damascus, the Syrian capital. "You have crossed the borders," he said in the speech, which was vehement even by Nasrallah's fiery standards. "Zionists, if you want this type of open war, then let it be, and let the whole world hear: We, like all other people, have a sacred right to defend ourselves, and everything we can do to defend ourselves, we will do." "At your service, Nasrallah!" the crowd shouted to the cadence of fists in the air. Israel put its embassies and other interests abroad on alert Thursday, reinforced its troops on the Lebanese border and warned its citizens of the prospect of kidnapping. Hezbollah was last accused of attacking Israeli interests abroad in the 1990s, when Argentina implicated the group and its Iranian backers in fatal bombings of the Israeli Embassy and a Jewish community center in Buenos Aires. Many Lebanese believe the attacks were in retaliation for Israel's 1992 assassination of Abbas Musawi, Nasrallah's predecessor. "Did anyone think twice when the forum finished discussing the near-certainty that Hezbollah would avenge the death by striking Jewish targets abroad rather than inside Israel? Was the advent of a murderous attack on Diaspora Jews part of the considerations that guided the Israeli leadership in deciding to okay the hit? Should it have been part of those considerations? "Like it or not, Jews all over the world are automatically identified with the State of Israel. The attack on the building of the Jewish community in Buenos Aires in 1994 and the bombings in synagogues in Istanbul over the past couple of years have proven that the Diaspora is Israel's soft underbelly. "From a security perspective, Israel's ability to provide security to Jews around the world is limited. After all, they reside in sovereign countries as the subjects of governments whose job it is to provide security for their citizens. "This, therefore, presents a very difficult dilemma. Israel was founded, first and foremost, to be a safe haven for all Jews. In that respect, actions that are meant to contribute to Israel's security should in fact contribute to the security of Jews living outside Israel. Except that those Jews are at once exposed to grave physical danger in the form of reprisals for Israel's said actions. "Israel needs to ensure its long-term survival, even if it means risking the lives of Jews elsewhere." In other words, what is important to the Zionist government is the survival of their state, not the survival of the Jews. Not much has changed since 1943, when the Zionist leader Yitzchok Greenbaum refused to divert money from the colonization effort to save Jewish lives in Europe during the Holocaust. Greenbaum's famous words were, "One cow in Palestine is worth more than a whole village of Jews in Europe."